Royal College of Art Innovation Design Engineering student Hamza Oza has created a cloud-based system that helps families locate their loved ones during Hajj without the need for a smartphone or phone signal. 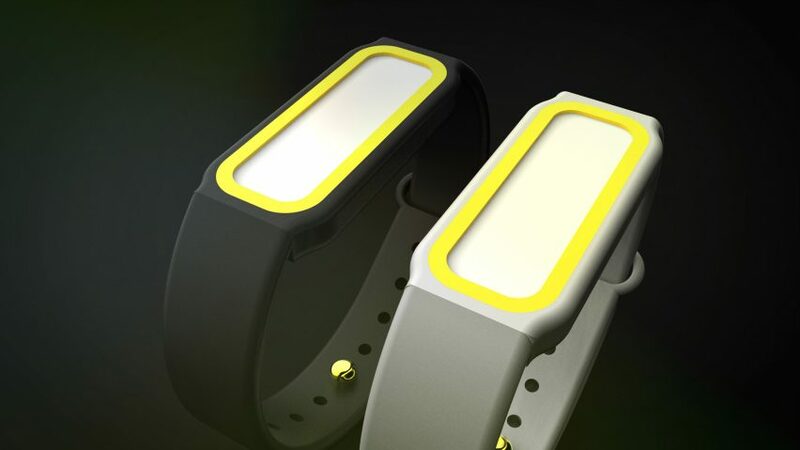 The wearable bracelet device is designed for use during Hajj – the annual Islamic pilgrimage to Mecca that all Muslims must complete at least once in their lifetime provided they are physically, mentally and financially able to do so. The pilgrimage is completed each year by large numbers of people. According to Oza, in 2017, 2.35 million Muslims undertook the pilgrimage with the number predicted to reach 8 million people per year by 2030. Oza says that this large movement of people presents many risks including trampling, stampedes and fires. 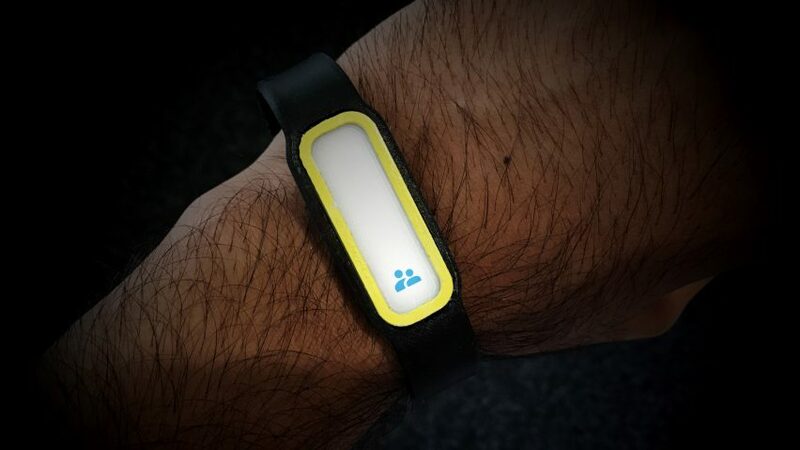 Called Rehber – a word that means guide in Arabic but is more commonly used in reference to tour guides – Oza’s system features a wearable elastomer bracelet that resembles a Fitbit, but can be tracked by others using a supporting service that does not rely upon smartphones or mobile networks to operate. “Each device has a range of 1 to 5 kilometres, depending on operating conditions, that works in tandem with a cloud-based dashboard that can be accessed by event organisers to locate people,” Oza told Dezeen. “The infrastructure cost in using Rehber to locate a retrieve lost pilgrims is therefore much less in comparison to what it would be using traditional methods such as Bluetooth or WiFi, where each device would only have a range of up to 100 metres,” continued Oza. The system is aimed at international pilgrims who Oza says are more likely to get lost, such as children or the elderly. “The key advantage is that it does not use mobile networks or need to be tethered to a smartphone making it easy for the target demographics to operate,” explained Oza. Instead, the basic device uses masked plastic with an LED shining through it when needed – a design feature that Oza said was inspired by an electric toothbrush. Although designed for use during Hajj, Oza says the system has applications for other pilgrimages including Arba’een in Iraq where up to 20 million people gather each year, or smaller events such as Glastonbury festival in the UK or Formula 1 – where attendees are densely spread over a fixed area. Oza says that the device’s elastomer straps are easy to manufacture and low cost, while being biocompatible with sweat and skin. They can also be reused at the end of their life making them more sustainable than traditional silicone. Oza has also creeated a rendering of how the device could be developed in the future. 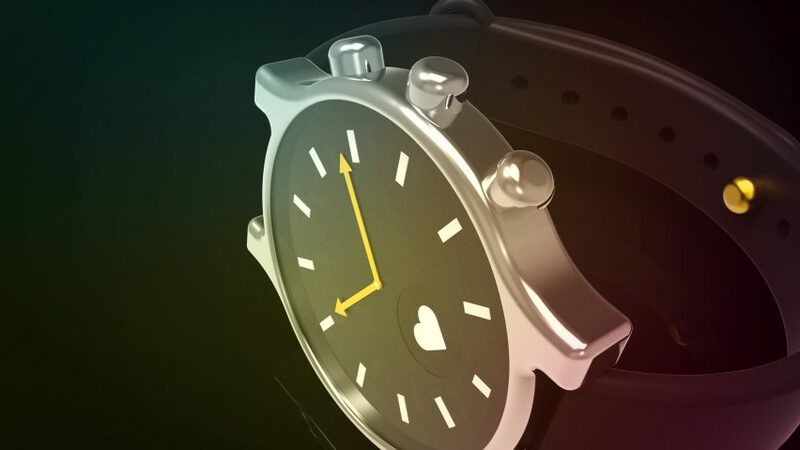 The hybrid design shows how the device could be embedded into a watch where the hands of the watch provide a user interface that could help to locate people or inidicate the direction of prayer during the pilgrimage. “Other functionalities could also include monitoring health data and alerting first responders should people need urgent assistance. Given current electronic trajectories, I think that its five to seven years away,” added Oza. It’s also the same word in Arabic, Urdu, Perisan and Turkish, albeit with slightly different pronunciations. It really captures what I want to achieve with my device and the purpose it can serve to people using it,” concluded Oza. Rehber was on display at the Royal College of Art as part of their annual degree show. Other projects on show included Marcus Kung’s drone that can fly without propellers with the aim of reducing injuries and Zhekai Zhang’s ceramics collection made using fabric moulds.